This UNESCO-associated Centre for Microscience Experiments is one of several established in different countries around the World. 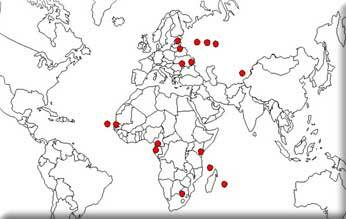 At the end of 2003, such Centres were located in Bashkortostan, Belarus, Cabo Verde, Cameroon, Comores, Estonia, Gabon, Kazakhstan, Kazan, Kenya, Mauritius, Moldova, Russia, Senegal and Ukraine. From time to time there is communication and cooperation between these Centres. This provides for exchange of information about progress in microscience in different regions, the development of new techniques and experiments, results of research, planning of joint actions, conferences, etc. Other independently	established centres of microscience development (in Mexico, China, Philippines and Portugal) are also included in the network. In addition to these formal centres there are groups and individuals to be found all over the World who are working actively in microscience development.